We bought the boy and girl last year, and decided to add another PAIR this year. Easy to assemble, and store!! Look very cute next to a 1968 Sears "Little Red Wagon" with a bear in it and lights around it! Added a white fluffy lighted dog to "pull" wagon. Makes for a nice little scene in a small front yard area. Also bought the Mr & Mrs Snowman/woman to add this year. Love these "stick" characters due to ease of assembling and storing! Will fit right in with my decor. Wanted the Gingerbread Stakes but they were out of stock so I decided to substitute with these. Front yard old time Christmas. 2 pcs. Wish it was 1. Would look lice by my little tree. a friend gave me the girl caroler and I wanted the boy to match so cute for xmas!! 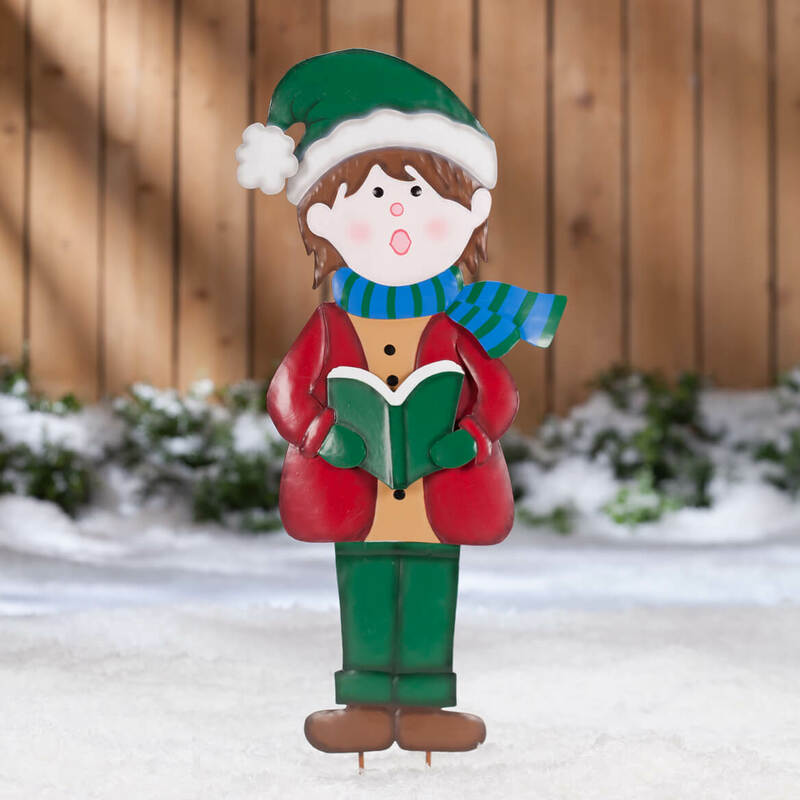 "Looking for Christmas yard decorations that are easy to use and set up." Looks nice and doesn't need lights. Visible during the day. Needed characters to go with 1966 repainted Radio Flyer large Wagon. The item is very festive. 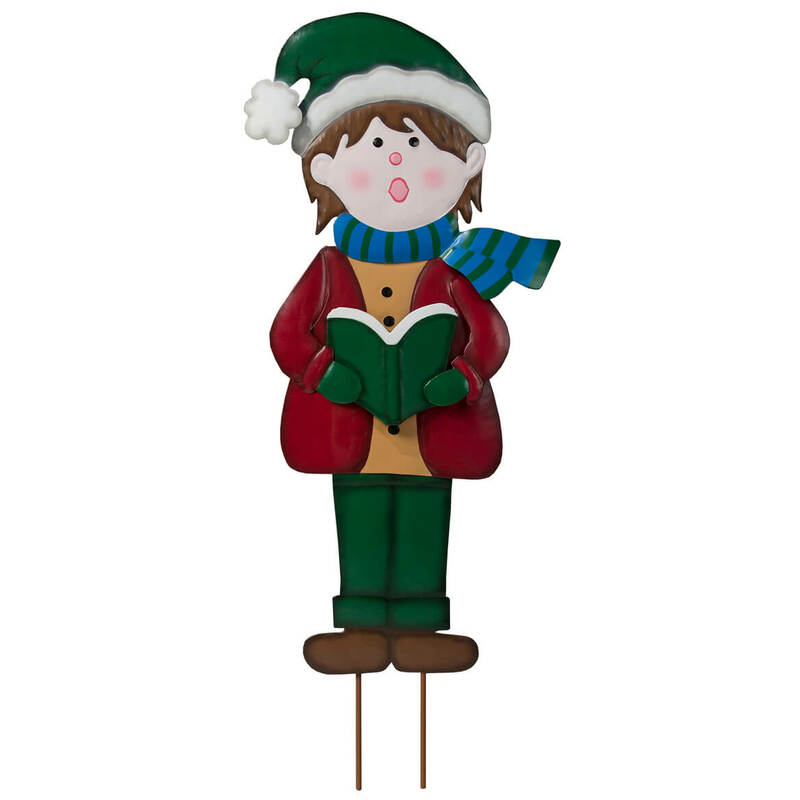 I have ordered several character yard stakes and they are really cute and good quality for the price! I bought the Thanksgiving boy and girl last year and wanted something similar for Christmas. They look great, are easy to assemble and were easy to store for this year. Nice decoration for my front yard. Needed to match the caroler boy.